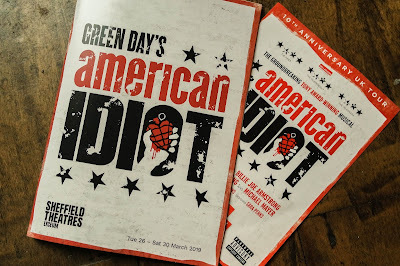 American Idiot The Musical | Gifted. 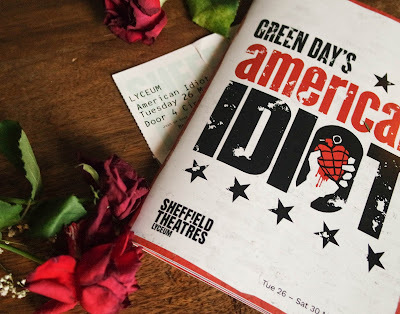 Earlier this week I was given the opportunity by the lovely folks at Sheffield Theatres to watch Green Day's 'American Idiot' the musical at the beautiful Lyceum Theatre. Following the story of three friends 'American Idiot' turns the 'punk rock opera' album of Green Day's 'American Idiot' into a literal one following the Jesus of Suburbia and American youth coming of age in disillusionment during the Iraq War. White noise on a TV hung above the stage and with one of the cast loitering whilst a loop of George W Bush began before they launched into the title track. 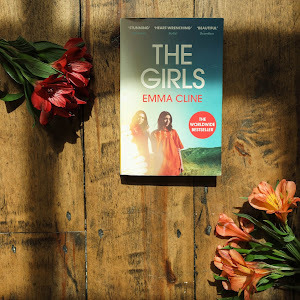 The three friends find themselves going down different paths, leaving for the city, joining the army, and unintentionally getting pregnant. With each of the stories unfolding on stage, it is that of Johnny played by Tom Milner that creates some of the darkest scenes. 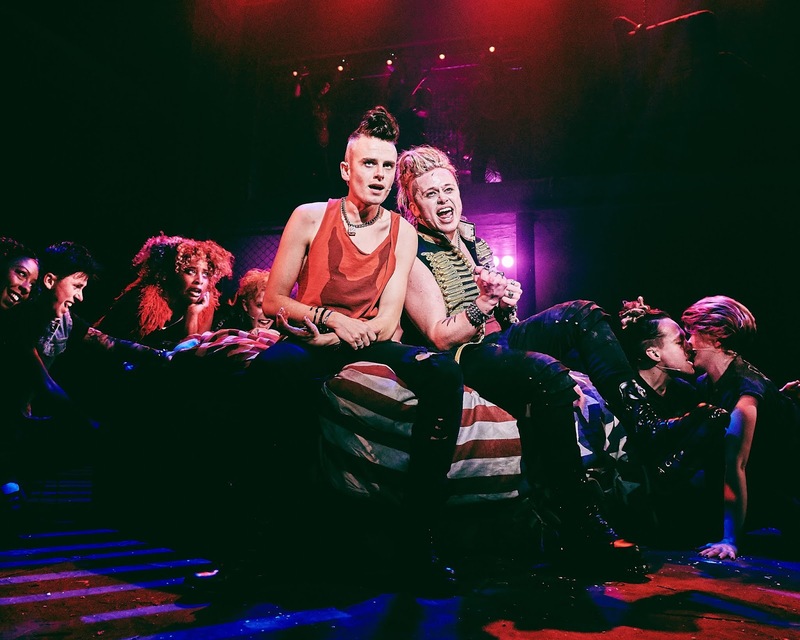 'American Idiot' has pushed the boundaries of the musical, bringing the band onto the stage and making them characters within the set to the point that you do not need to be a Green Day fan to appreciate it. Every song packs punch and I could feel myself trying not to sing! Although there was much less dialogue than most musicals it was easy to follow with the base messages of their music coming through onto the stage. I felt it was all over so fast! 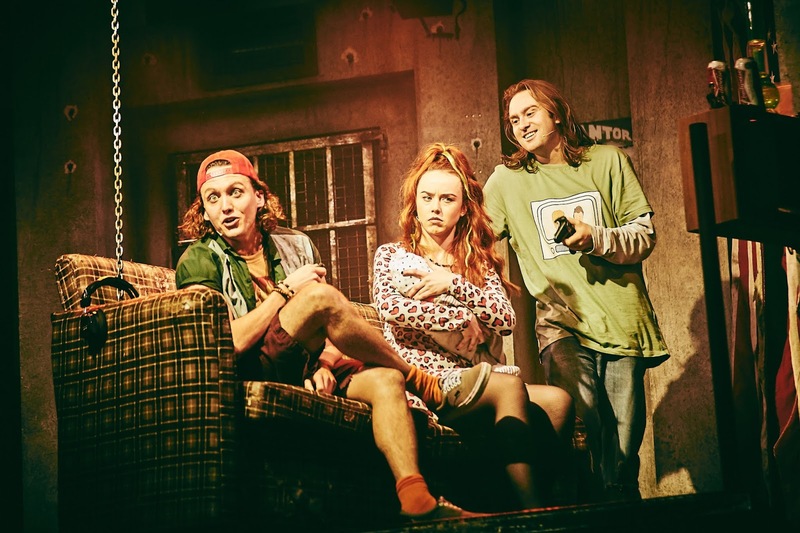 As the friends came back together after very different disheartened and painful experiences the entire cast joined in with guitars to perform 'Good Riddance (Time of Your Life)' with the audience joining in. Just like every Green Day encore. 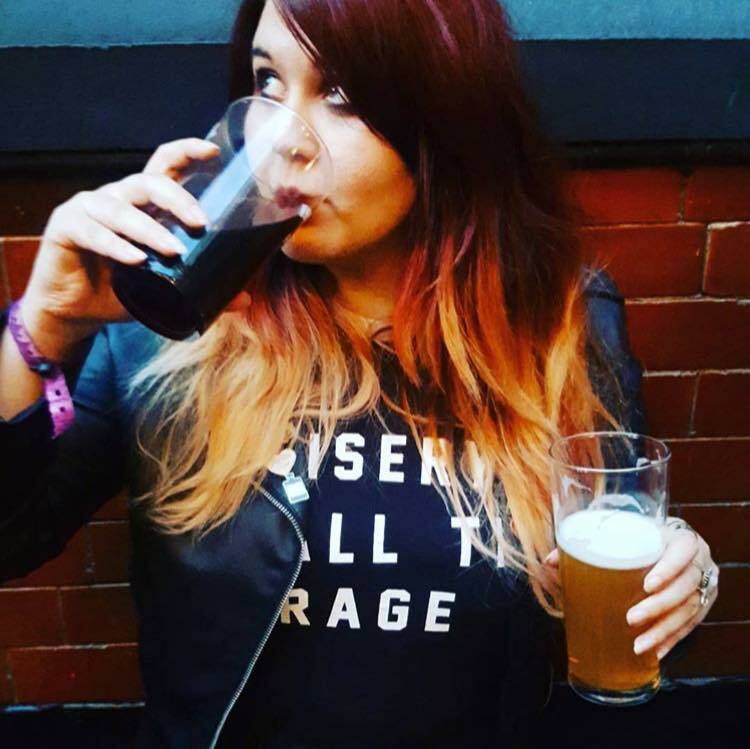 Green Day touring 'American Idiot' was the first gig I ever went to without a parent so it brings me a lot fond memories! What I just couldn't believe was how long ago that was, my studded belt and pencil eyeliner definitely didn't last that long. The musical started in 2009 and now sees itself touring in its 10th anniversary. Just incredible! 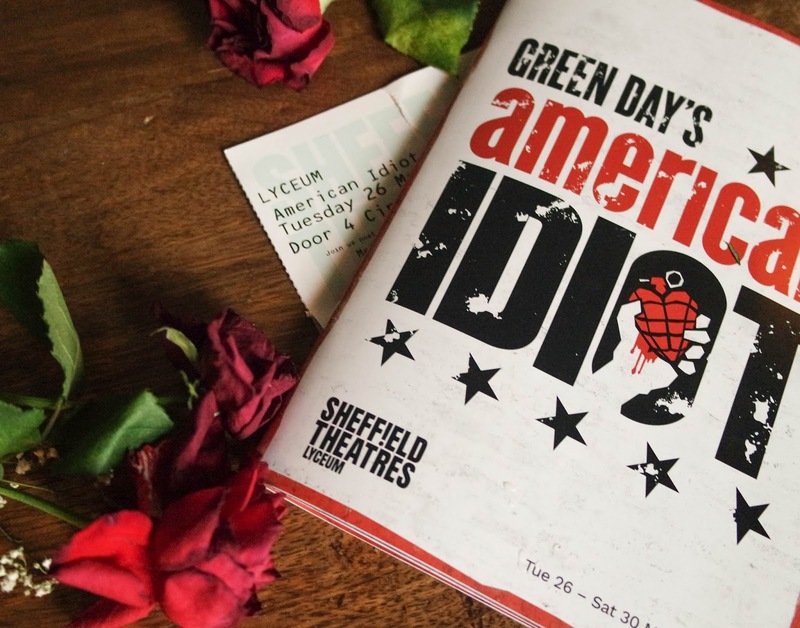 'American Idiot' is on in Sheffield until Saturday! 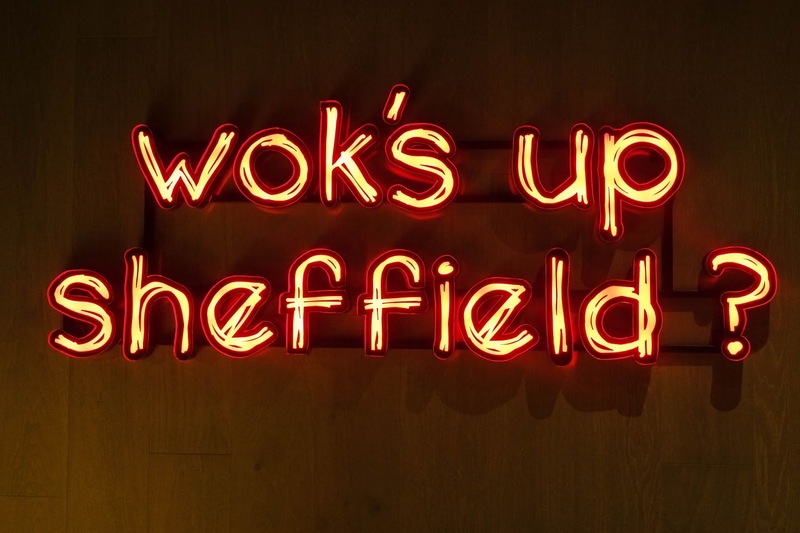 There are still tickets available so don't miss out! 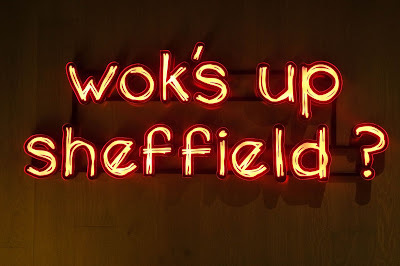 After that it moves on to Manchester, Birmingham and the rest of the tour! 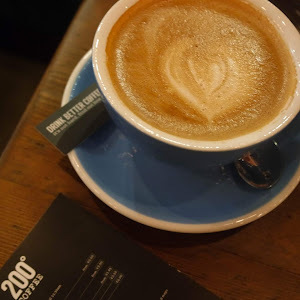 Have you seen it? What other albums could you see as musicals? Hanami. 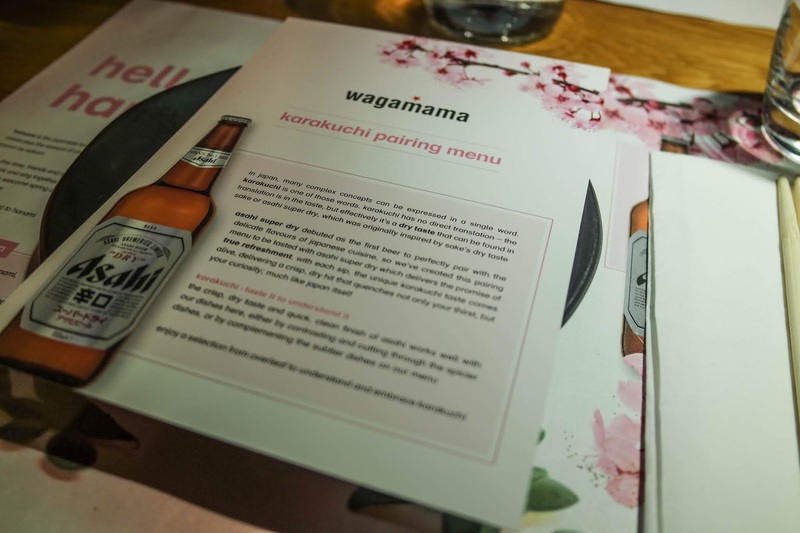 Karakuchi Pairing Menu with Wagamama & Asahi Beer | Gifted. On the first day of Spring I had the pleasure of heading to Wagamama in Leopold Square Sheffield with the talented Shannon for their #hanami event. Hanami, or flower viewing is the Japanese tradition of celebrating the season of the cherry blossoms, known as sakura. 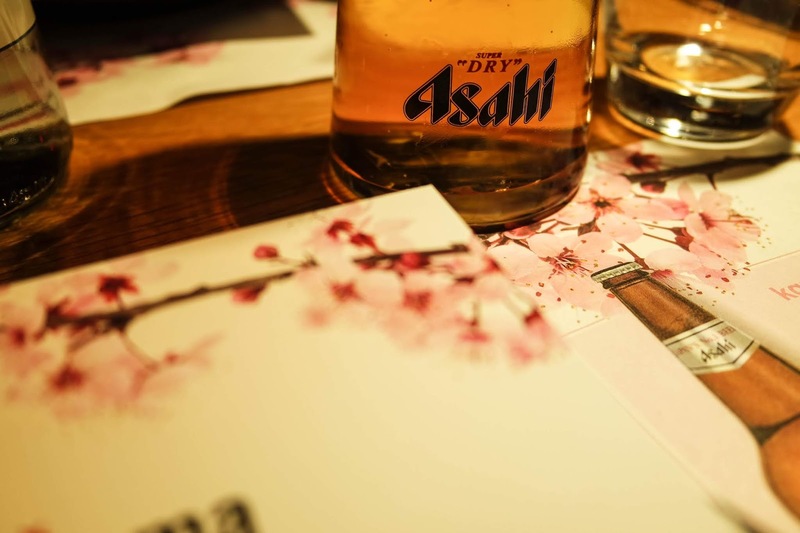 During this time friends and families come together to eat, drink and celebrate together under the beautiful cherry blossoms to welcome spring in and enjoy the beauty of sakura. 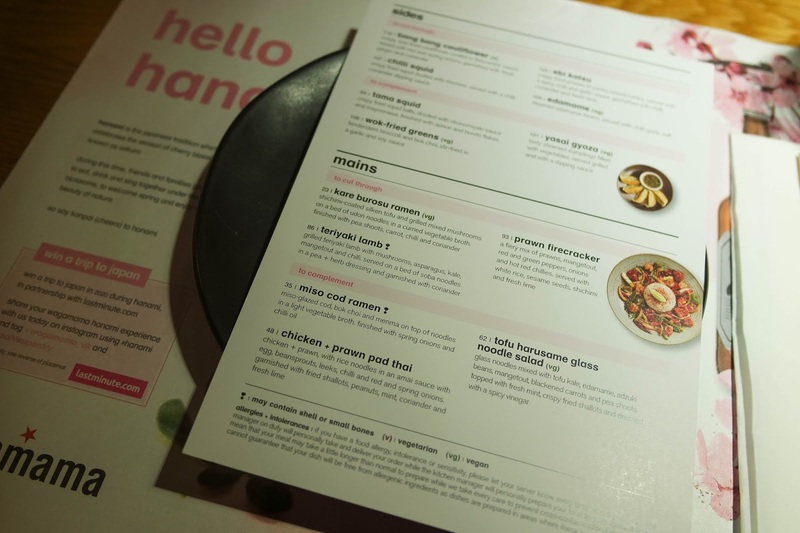 To bring this into their restaurants Wagamama have introduced beautiful cherry blossoms onto their placemats and have even installed cherry blossoms into some of their venues. 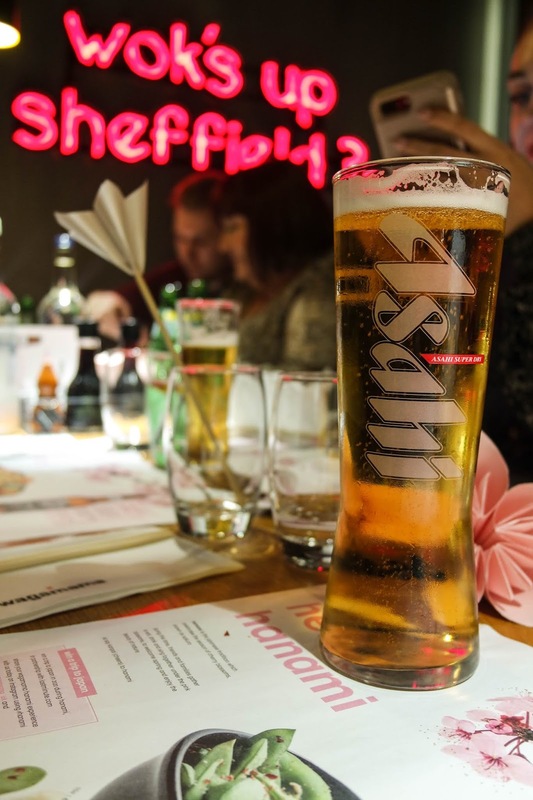 Wagamama have also teamed up with lastminute.com and Asahi Super Dry to give one winner the chance to be able to go to Tokyo next year to celebrate Hanami! 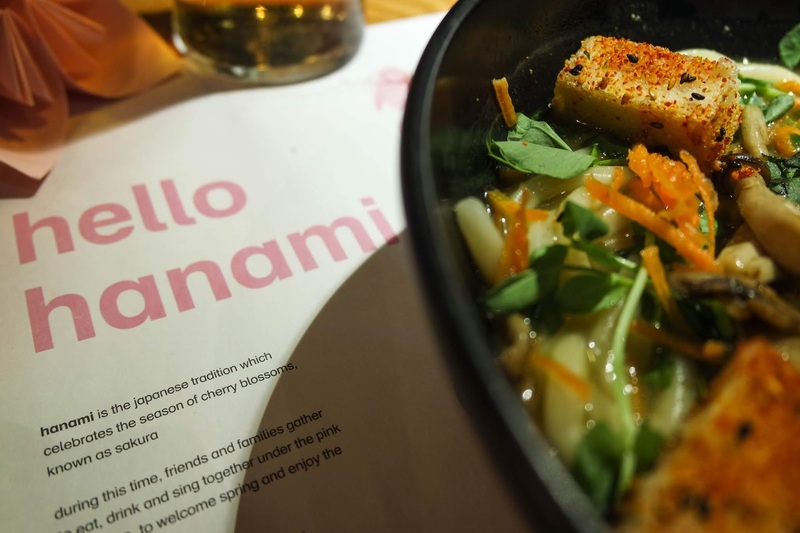 All you have do to enter is share your Hanami experience on instagram next time you eat in Wagamama using #hanami and tagging @wagamama_uk and @asahisuperdry. 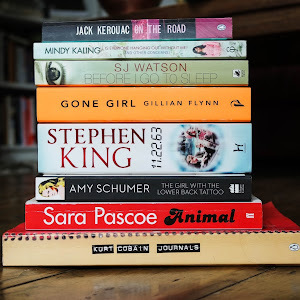 How incredible is that! 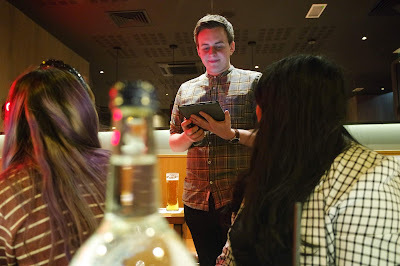 To celebrate Hanami we were invited to Wagamama to try their karakuchi pairing menu alongside Asahi Super Dry beer. In Japan complex concepts can be expressed in a single word and karakuchi is one of these. 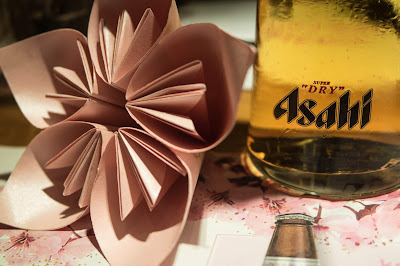 After we all settled in with an Asahi Super Dry we were then given a brief history Asahi, the brewing process, it's taste and how we can find the meaning of karakuchi in a sip of Asahi, a super dry taste. Inspired by the dry or karakuchi taste of sake, Asahi Super Dry pairs perfectly with the dry spice of the dishes on the Wagamama menu. 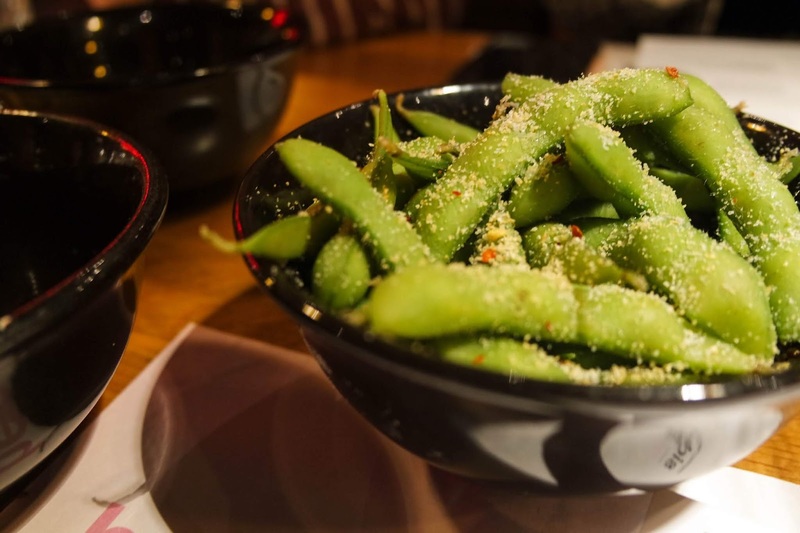 So I couldn't wait to try it alongside some of my favourites, edamame with chilli garlic salt and bang bang cauliflower! 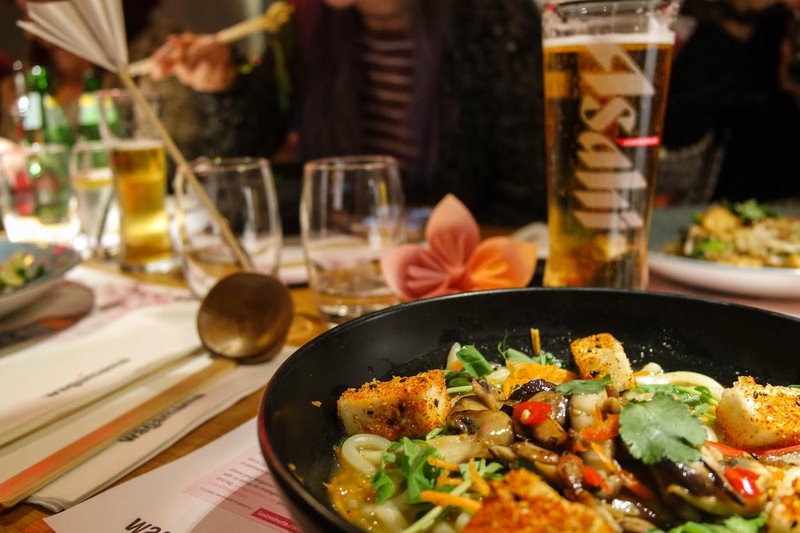 Asahi Super Dry brought an entirely new concept of beer to Japan and is credited as the first beer to perfectly pair with delicate flavour palate of Japanese food. So as part of this pairing menu with Wagamama, Asahi cuts through the spicier dishes with a crisp, dry and clean taste or complements the more subtle flavours. Where a heavier beer would have imparted on the taste Asahi worked like a palate cleanser, meaning I didn't have to relent to the firecracker sauce on the bang bang cauliflower! It's dry, crisp flavour and quick clean taste working a treat. 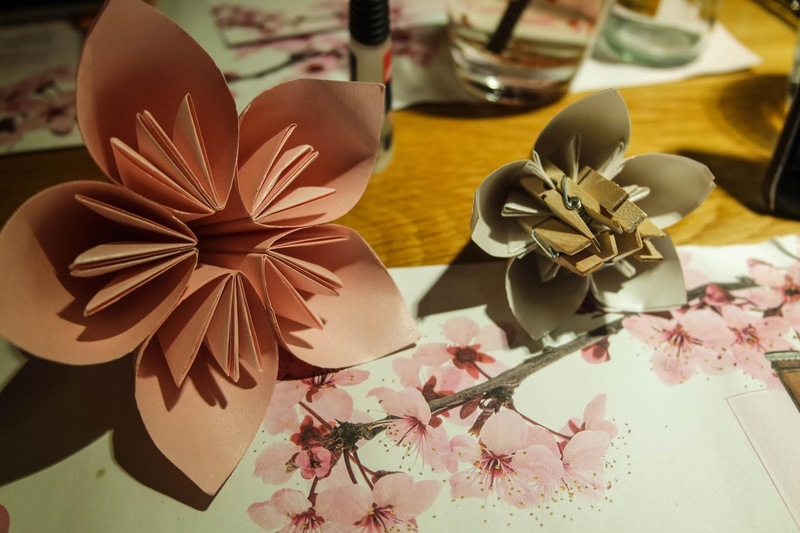 After we enjoyed the sides we had an incredible break in the menu by learning how to create this amazing origami with the talented Coco! Usually anything with super glue means I am going to be covered but I actually managed not make a mess and really enjoyed the process. Coco was a superb teacher and we all picked it up pretty quickly. Creating our own little pocket of spring to bring home and continue to celebrate hanami! 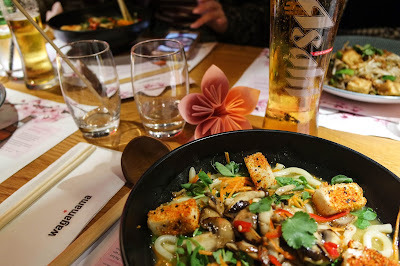 We then moved onto the mains which were split on the Karakuchi menu to allow Asahi Super Dry to either cut through or complement the dish. On the 'to cut through' section the vegetarian option was kare burosu ramen so I went straight for that! The kare burosu ramen had this beautiful silken tofu coated in shichimi, a Japanese spice blend made up of red chilli, sansho, roasted orange peel, black sesame seed, white sesame seed, hemp seed, ginger, nori and poppy seed! And I am glad I had the Asahi Super Dry to cut through that kick. 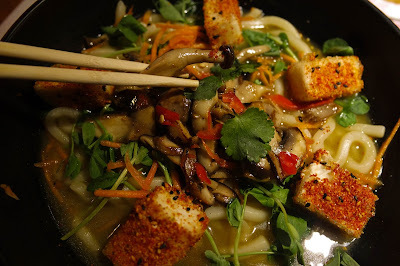 Along with the tofu, mixed mushrooms, pea shoots and carrot sat on a bed of chunky udon noodles in a curried vegetable broth and now my belly is rumbling writing about it. 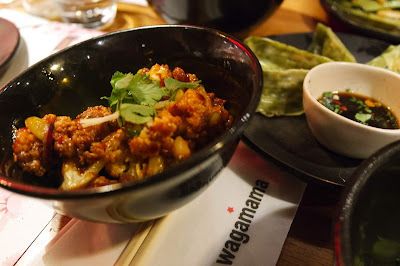 The Karakuchi pairing menu is such a fab idea from Wagamama and Asahi and a fantastic way to try different dishes or see their flavours develop in different ways. I loved our evening and it was so insightful to see the ideas behind a menu and how Asahi Super Dry changed that. So now I'll be thinking of bang bang cauliflower until I have it again! Let me know if you try the Karakuchi pairing menu, i'd love to know what you think. But for now, cheers or kanpai to Hanami!